When you think about the adventure of a lifetime, climbing the tallest mountain in Africa might come to mind. Over 19,000 feet tall, with some of the most beautiful scenery in the world, Mount Kilimanjaro is one of the most popular destinations for touring and adventure in the world. What makes it even better is that you can climb Kilimanjaro for charity. In June, we are taking our 2018 Climb for Clean Water team to summit Kilimanjaro and bring safe water to thousands in Ethiopia. You can join us! 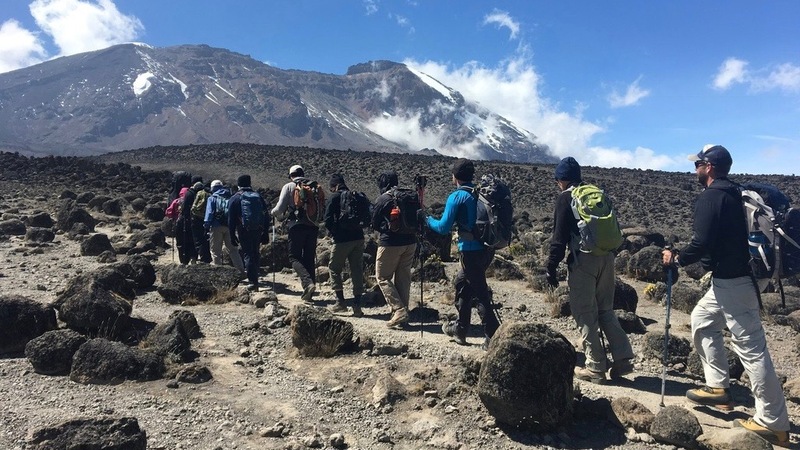 Climb Kilimanjaro for charity in 2018. The 2017 team climbing Kilimanjaro and enjoying breathtaking views! Take it from Matthew Jarrell, who climbed Kilimanjaro with our team in July 2017: this is an adventure of a lifetime. Being from Michigan – a place Matthew says makes him strong – and already an athlete and adventurer, Matthew was drawn to climb Kilimanjaro for charity in the wake of personal tragedy. In the fall of 2016, within about a five-week timespan, Matthew’s stepson was killed in a car accident, his wife filed for divorce, and his father was diagnosed with leukemia. Each Climb for Clean Water team member commits to raise enough funds to build a well in a rural Ethiopian village. Matthew was determined to raise $20,000 even though he only needed to raise $6,000. In the end, he ended up raising an impressive $15,000 for Lifewater, and participated in one of the greatest, most exhilarating experiences of his life. He took his training seriously, and wanted to show up as prepared as possible to handle the acclimatization process. Once he started climbing the mountain, even though it was challenging, he was excited every single day and every single step of the way. Not only did he have the time and space to work things out in his heart, he made a positive impact on thousands of people. Hundreds of people contributed to Matthew’s campaign, and he impacted thousands of people by sharing his story through the local news, social media, and public speaking events. 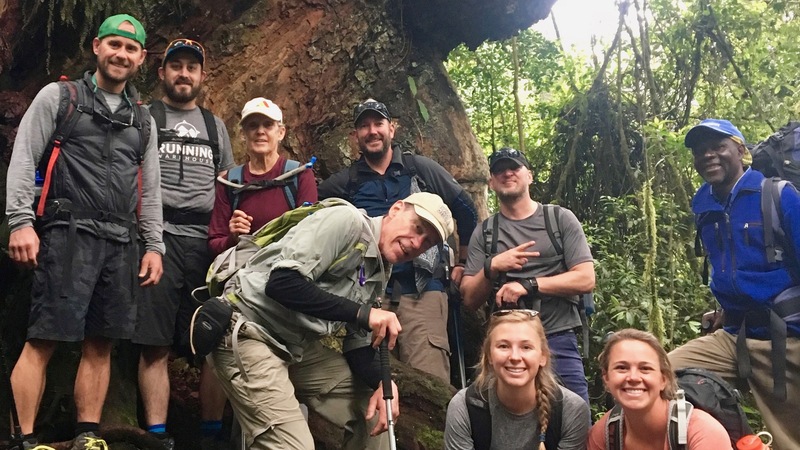 Beyond that, the climbing team raised an incredible $103,000 for Lifewater and helped 4,500 people get access to clean water, health, and hope in Africa. By taking a healthy road to healing, Matthew was able to do something positive to change the lives of vulnerable people for the better, and send out ripples of hope into the world. You can give people hope, too! As we prepare for our 2018 Climb for Clean Water, happening June 23-29, 2018, we invite you to consider going on the adventure of a lifetime with us. You can be part of a team bringing clean water, health, and hope to vulnerable people in Africa. If you’re inspired to climb but unsure of your ability, we get it, but we also know anything is possible! The 2017 Climb for Clean Water team: Look how much fun they’re having!